I hate winter because of eczema. My daughter’s skin gets dry. It gets itchy. To hear it from the dermatologist, it’s an itch unlike any you or I have encountered. It’s relentless. Imagine the worst itch you ever had, then multiply it by 1,000 times. That’s what it’s like to have eczema. 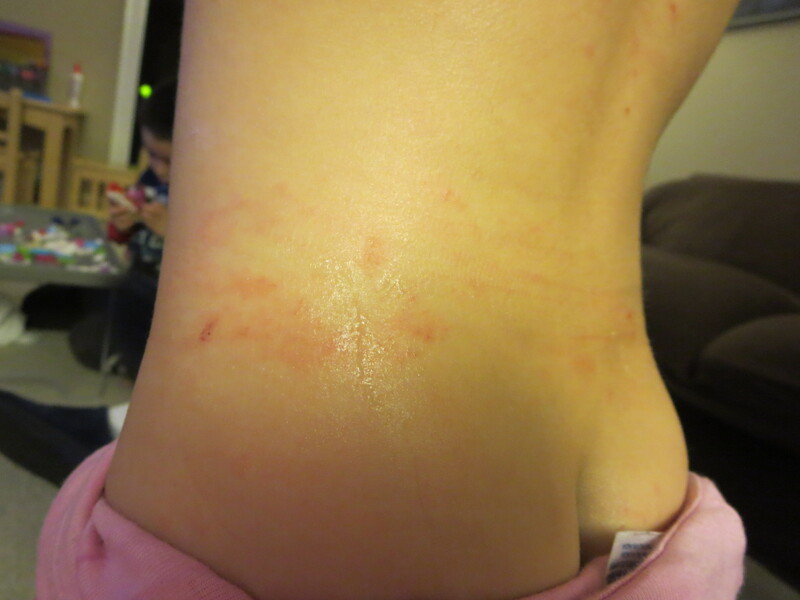 So its no wonder that my daughter wakes up with trails of blood across her chest and back from scratching. And to make matters worse, once they scratch or rub, the skin develops a rash. The skin puffs up, turns red and blotchy. It itches more. And then the skin breaks. I’m not talking simple scratches. The skin shreds. Pulls apart. Like tissue paper. Her hands are usually the worst. But this year, she had a full-body flare. This is the area where her pants and underwear touch her body. The splotches continued both up and down her torso. Her shoulders and upper back were gouged by nail marks and puffy skin. And for the first time, her face was affected: One eye puffed up, her cheeks got blotchy, and her upper lip was bright red and scaly. Wet wrapping: What you need: water, 100% cotton fabric, and tube socks and/or ACE bandages. What to do: Fill a bowl with lukewarm water and submerge the fabric until they’re soaked. (I use old onesies that I’ve cut into strips.) Pull the strips out of the water and squeeze until they are still very wet but not dripping. Wrap the affected area loosely with the fabric and secure with tube socks (for hands or feet) or with the ACE bandages for other areas, such as the torso. Leave on for 20-40 minutes. When you remove the bandages, do one area at a time, for example: unwrap a hand, apply medicines, apply lotion, and finally apply an emollient such as Vaseline or Aquaphor. For hands, then apply a clean 100% cotton glove or another dry tube sock and leave on overnight. What you need: Option 1: 1 package Aveeno oatmeal bath; option 2: 2 cups milk and 1/2 cup mineral oil; option 3: 1 cup olive oil; option 4: 1/4 cup baking powder. What to do: Fill a tub halfway with warm water and add one of the four options. Soak for 10 minutes, then lightly pat the skin until it is mostly dry, then apply medicines, lotion, and an emollient. You can find these in the first-aid section of your local drug store. Essentially, they’re gel pads soaked in sterile water. I usually put these on her wrists during the day and wrap them in rolled gauze to secure. Leave them on for 30-40 minutes, then remove and apply medicines, lotion, and emollient to the affected area. Don’t use on open cuts, just on areas that are incredibly dry and need some serious hydration. A metric ton of prescriptions:See your doctor or dermatologist. 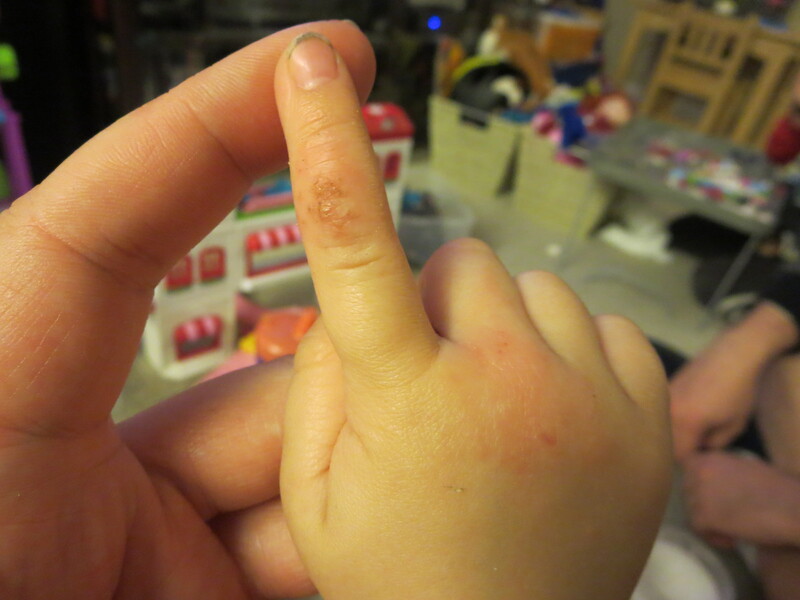 For this flare, we received a higher-dose of ProTopic (0.3%), and were told to use our steroid ointment for 2 weeks straight, 2x a day, and then wean her off of it. 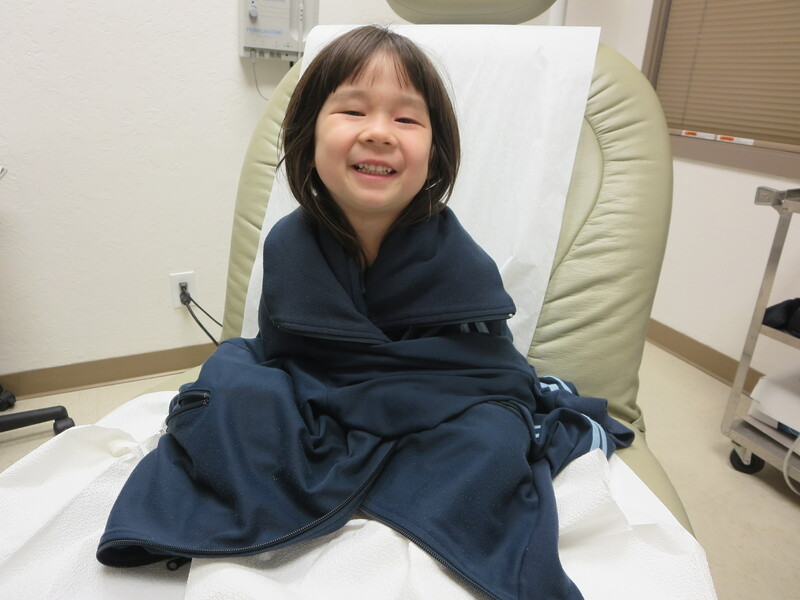 We continued to give her 1 tsp of Zyrtec daily and 1 tsp of Benadryl at night to help her sleep. 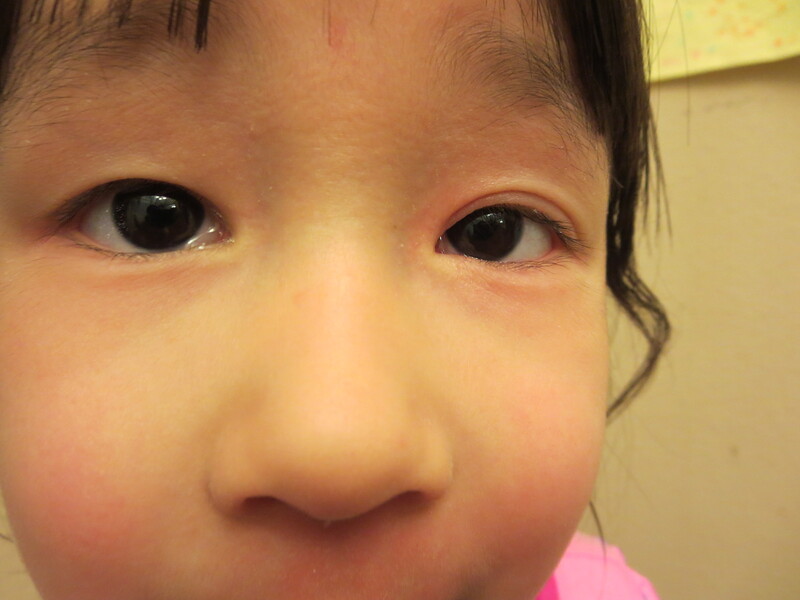 We also tried CeraVe cream (blue colored label/tub) and it seems to be helping a lot. She’s doing better, but is still itchy. Keep that skin hydrated! 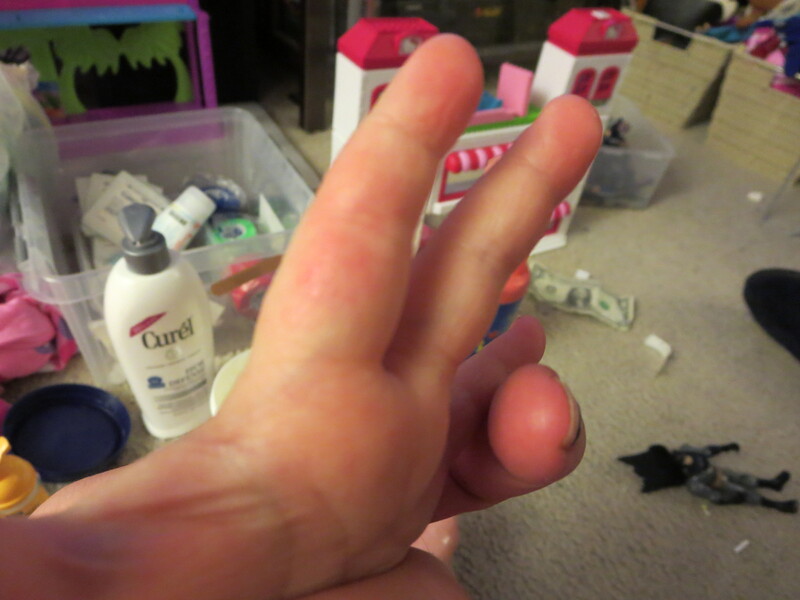 This entry was posted in Daily, Doctors, Eczema, Health and tagged eczema, lotion, winter skin.